Hey, everyone. Shiota here, the Director of the MOSHI MOSHI BOX Harajuku Tourist Information Center. 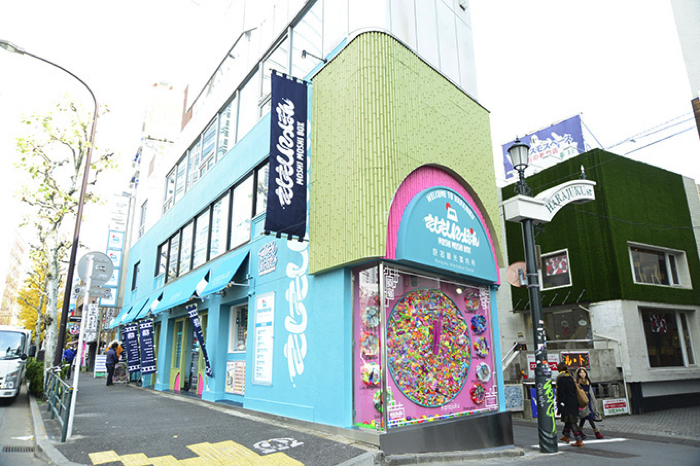 Harajuku is a candy and sweets battleground, with many different stores lining the streets. Today, we take a look at Instagram-worthy goodies from much talked about newly opened stores! Located exactly ZERO minutes from the Takeshita Exit of Harajuku Station is THE PARFAIT STAND, the sister store to popular cheese tart shop BAKE CHEESE TART. Opening as Japan’s first shop to center around the ‘length’ of food, LONG! LONGER!! LONGEST!!! is located along Takeshita Street. The menu has three size variations, the same as in the store’s name. ‘LONGEST’ in fact offers the longest food product in Japan! They have lots of products on offer, including soft serve ice cream, tornado potato, churros and more. You’ll never forget about their crazy length once you try one! GOMAYA KUKI is a store selling sesame ice cream which has received support from inside and outside Japan. They have opened a store in Ura-Harajuku. One serving is covered in close to 9,000 sesame seeds! 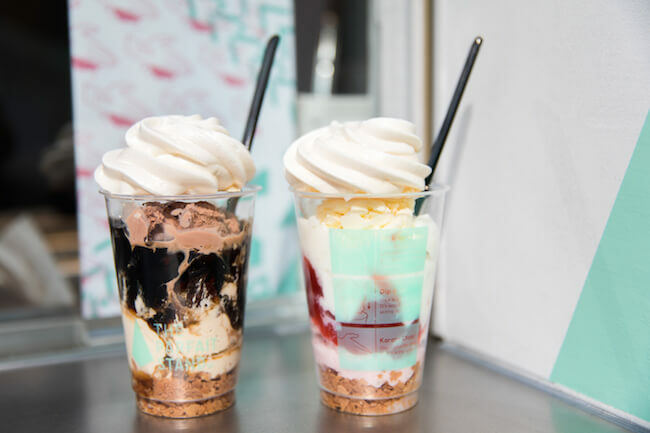 Their menu is full of new, unique products including ice cream made with sweets friend in sesame oil, Japanese-style parfaits sprinkled with sesame seeds, and more. They also offer takeaway ice cream in cups. This café is inspired by Q-pot., an accessory brand who create kawaii products themed around sweets. The café is decorated in all things sweet as far as the eye can see. The interior has a fairy-tale like atmosphere that female customers will love. The sweets here are both sweet in appearance and taste looking exactly Q-pot.’s necklaces, rings and so on. 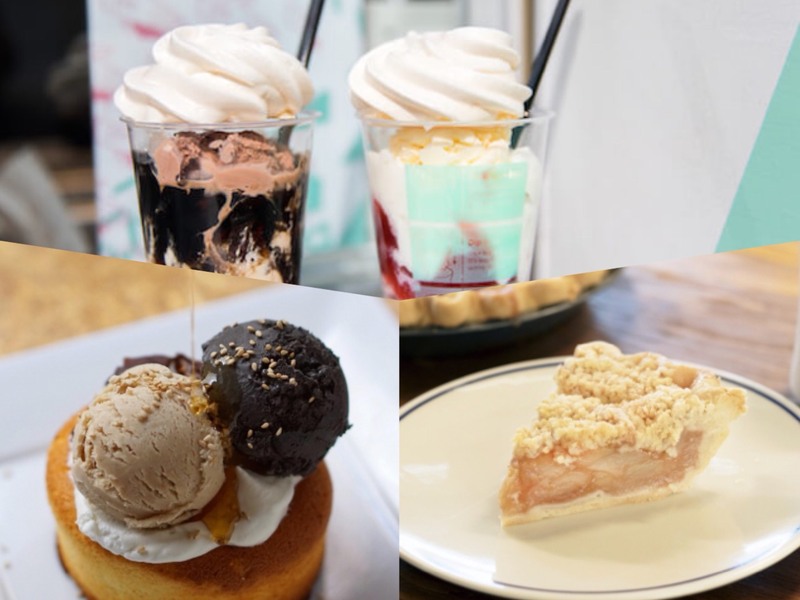 This popular store hails from Los Angeles and sells their own original pies and organic coffee, and it’s found its way to Takeshita Street in Harajuku! Since April 4, they have been holding their second all-you-can-eat session for all their pie products every Wednesday. From sweet pies to classic pies, each and every one is handmade with care and attention. Why not head to one of their all-you-can-eats to try them yourself? Are you hungry now? Be sure to use this list as reference if you’re looking for a café in Harajuku! And if you’re unsure of how to get to any of these places, then pop into the MOSHI MOSHI BOX and we’d be happy to help!